On Dominicaans Nederland, Stan Gipman wrote an impression (in Dutch) of his visit of the Schillebeeckx exhibition. 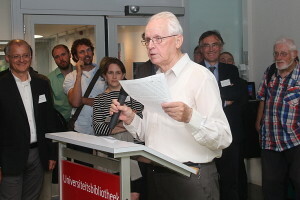 At August 27 – 29, in Ravenstein, the Schillebeeckx-100 conference Grace, Governance and Globalization. Theology and Public Life took place. Here you can find a impression of the conference. In September and October, the University Library Nijmegen exhibits ‘A happy theologian: a hundred years of Edward Schillebeeckx’. Early November, the exhibition moves to the libary of the Faculty of Theology and Religious Studies of the Catholic University Leuven. 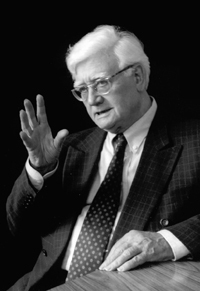 The exhibition also shows the documentary about the life and thinking of Edward Schillebeeckx that Stijn Fens recently compiled. A beautiful and extensive catalog is for sale (see image). “When Schillebeeckx was approaching his 60th birthday, an ex-student was asked how he thought Schillebeeckx would spend this anniversary. His first thought was that `the master’ would probably spend his birthday writing: `the man does hardly anything else’. No wonder, then, that the recent series took up nearly 4.000 pages. 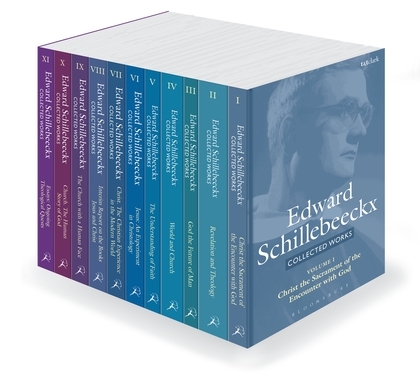 And yet it covers only about 60 percent of all Schillebeeckx had published; officially it is called just Collected Works, not ‘The Collected Works’. With these words, Ted Schoof o.p. 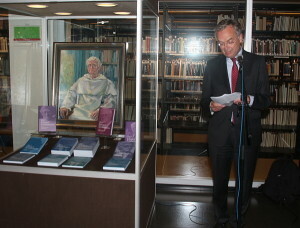 starts his part of the public presentation of the Collected Works Edward Schillebeeckx, which took place at August 29 at the University Library Nijmegen. De full text can be downloaded here. 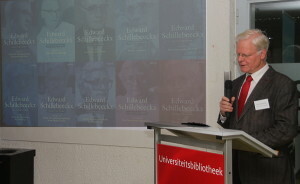 The introduction by the chairman of the Edward Schillebeeckx Foundation, Nico Schreurs, can also be downloaded here. The Collected Works are sold for a reduction price by Bloomsbury. 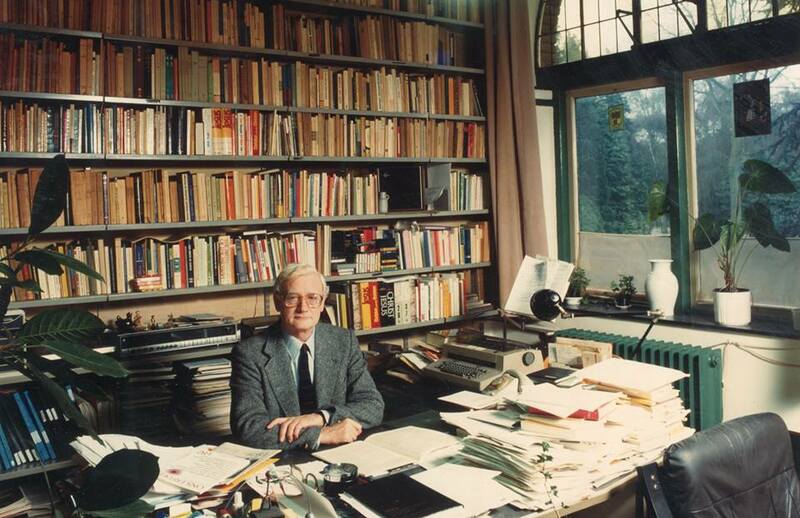 Saturday November 15 from 10.30 – 16.30 o’clock, De Nieuwe Liefde in Amsterdam organizes a symposium in honor of the 100th birthday of Edward Schillebeeckx. Part of the symposium is in English, part is in Dutch. Topic is multiple religious belonging. More information is found on the website of De Nieuwe Liefde. At wednesday November 12 from 19.30 – 21.30 o’clock, the Radboud University organizes a lecture in honor of the 100th birthday of Edward Schillebeeckx. Maarten van den Bos gives a short introduction to the life and thinking of Schillebeeckx. Stephan van Erp holds a lecture on believing outside the Church in the work of Schillebeeckx. Finally, there will be a discussion with Christa Anbeek. 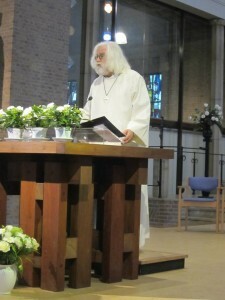 The lecture is in Dutch. 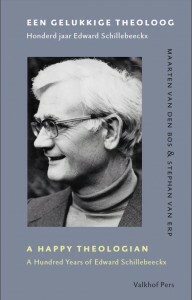 More information is available at the website of the Soeterbeeck Programma (also in Dutch). During the Memorial Service of the Schillebeeckx-100 conference at Augutus 29, provincial superior René Dinklo o.p. addressed a beautiful In memoriam. You can also read Erik Borgman’s Meditation. On the occasion of the 100th birth year of Edward Schillebeeckx, some of his sayings are printed as cards. There are two series, with graphical designs and with photo’s. The set price is 5,95 euro (4 cards) or 9,95 euro (8 cards). The cards are designed by Altena Productions and can be ordered via their website (in Dutch). 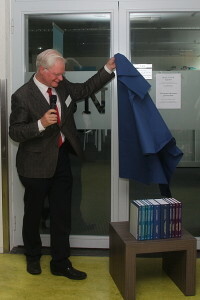 Part of the revenues go to the Edward Schillebeeckx Foundation.